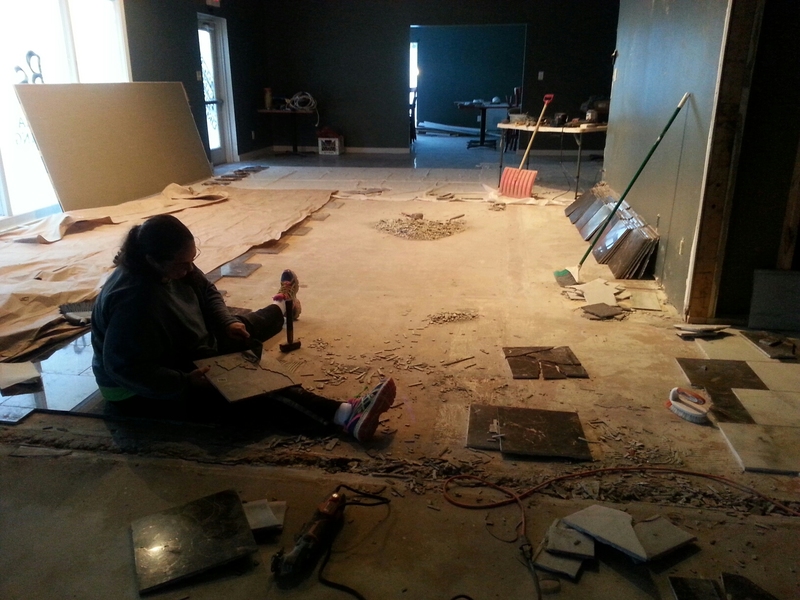 This week we finished (or just about finished) a lot of what we started a few weeks ago. I got it! It’s in my hands. I have my Brewer’s bond. Finally. In retrospect, waiting a little bit to get a bond through a surety company may have been better than just doing a cash bond. Surety companies do a complete background and financial check. So when the feds see this, it adds more credibility as an applicant with 3rd party verification of who I am. With the bond in hand, I continued my Federal application. 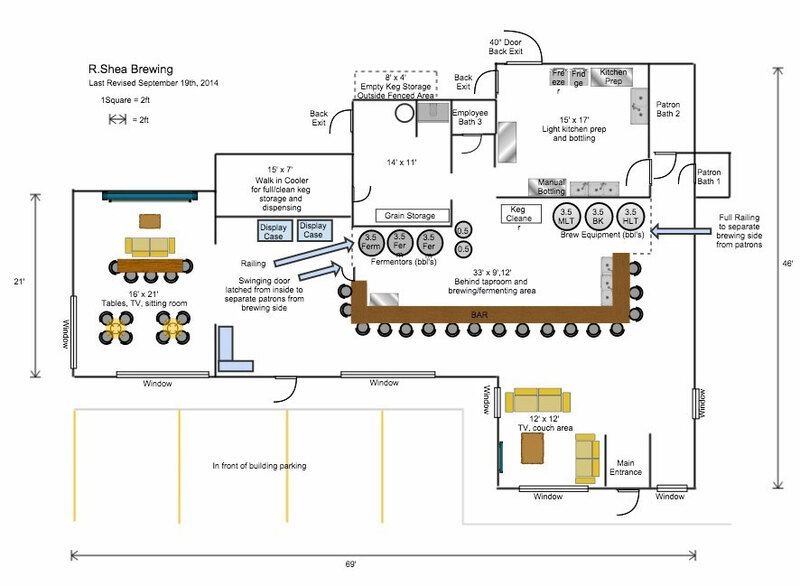 I had to finish the complete layout including where all brewing-related equipment is going to be, the lay of the land that the brewery is on including satellite maps of things near it. I had to spec out approximate gas usage, what I’m doing with spent grain and how much, the amount of water used for brewing and the amount of water that will be for cleaning including the type of cleaners used. I also had to detail out security measures to secure the beer – we definitely don’t want any of it escaping 😉 I have about one more page left. 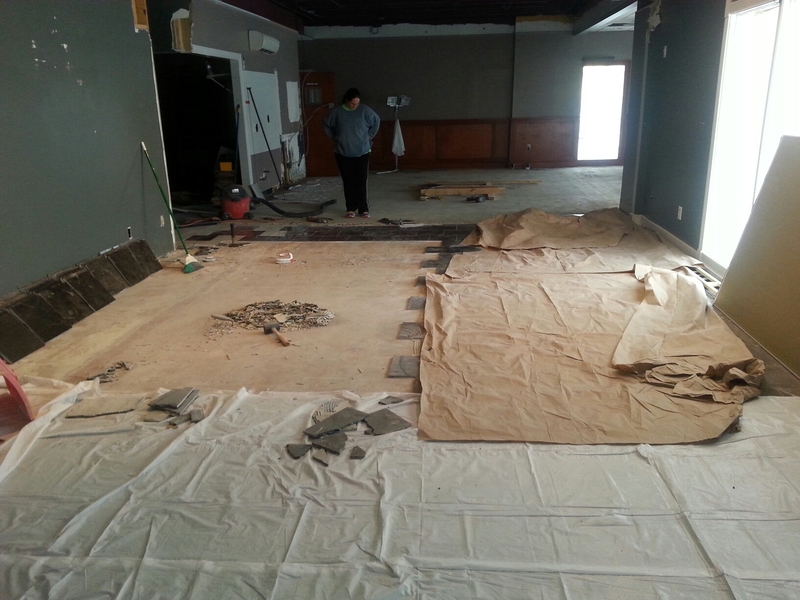 At the brewery my wife and I continued to remove the marble flooring that is behind the bar. It’s slow, tedious work. Did I mention that it’s slow and tedious? At the end of this week it’s just about done. 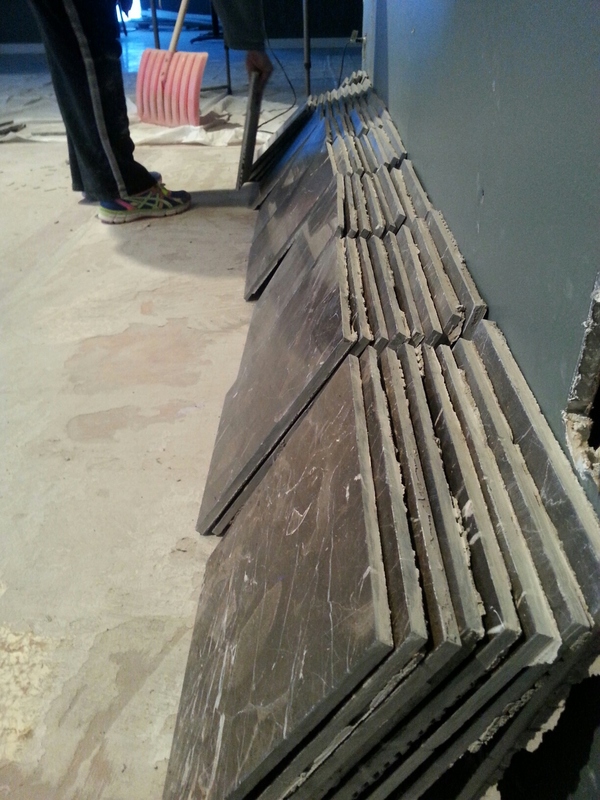 We have been able to save about 70% whole marble tile. We can glue together the other 10% that broke into large pieces – and you won’t know the difference. The other 20% is a loss. THE GOOD NEWS is that we found a serial number on the back of one and we cross referenced it to tile that Home Depot sells on special order! It’s expensive but we may not need much since we saved so much. It’s very good to know that we can get this exact tile if needed. This is a cool tool. 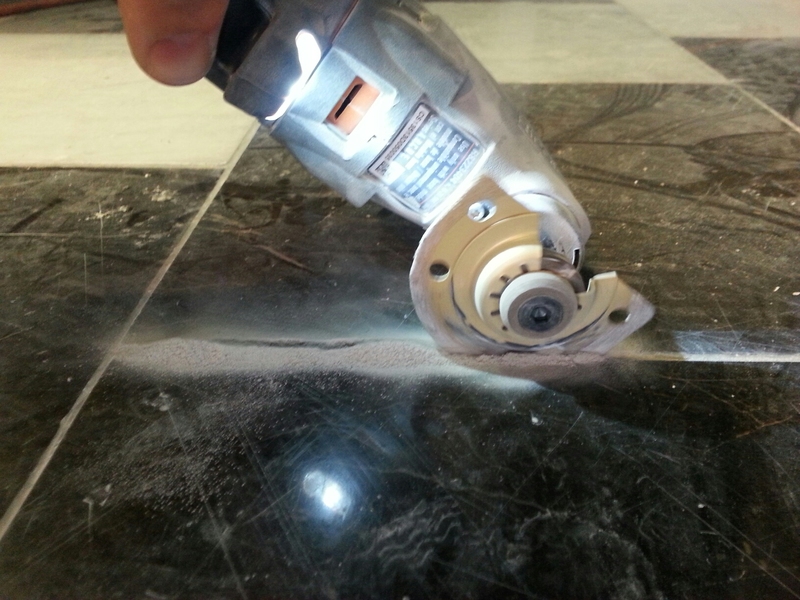 It oscillates back and forth to do the cutting through the grout. 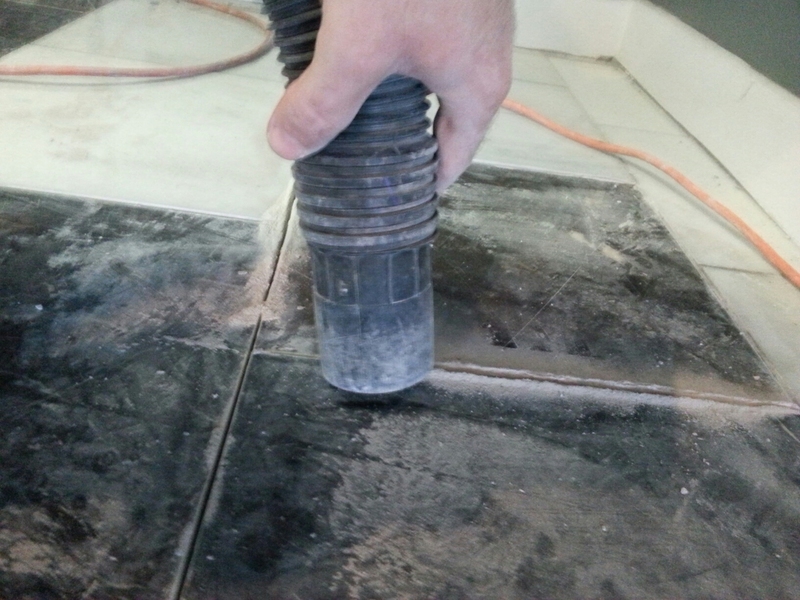 We have a 1/16th blade on it as these grout joints are narrow. 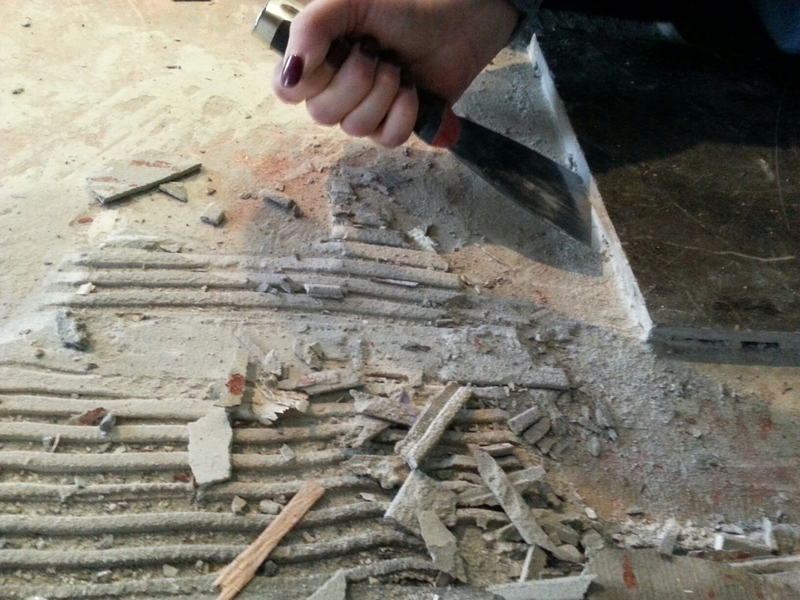 If the grout isn’t removed, the tile will shatter upon removal. You have to make sure to vacuum the loose grout to get the grout remover blade deep enough – all the way down to the thin-set. Very light taps around the edges will usually remove it whole. It’s a very dusty job. Look at all the saved tile! My wife has been doing a lot of research on bar stools and looking online for prices, etc. 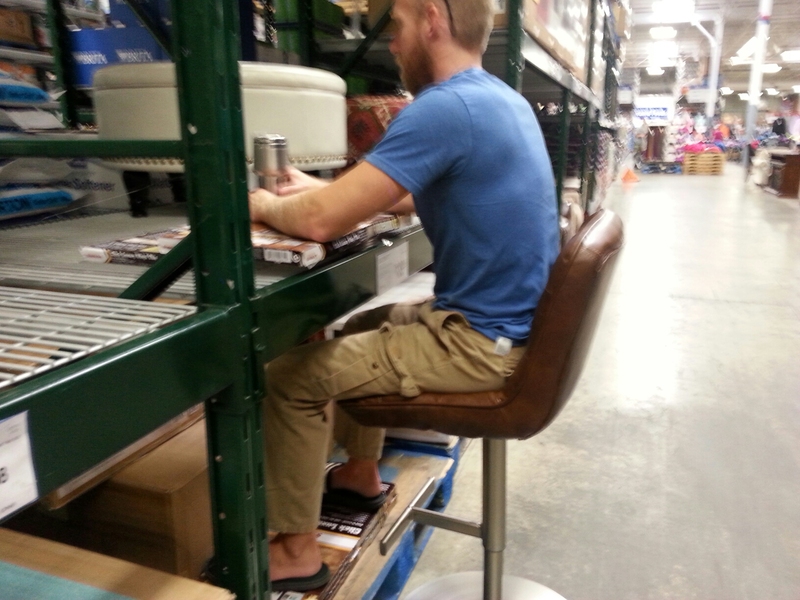 We took at trip to Sam’s club to check out a few stool styles. We don’t want to go cheap. I want to keep your rear-ends comfortable. 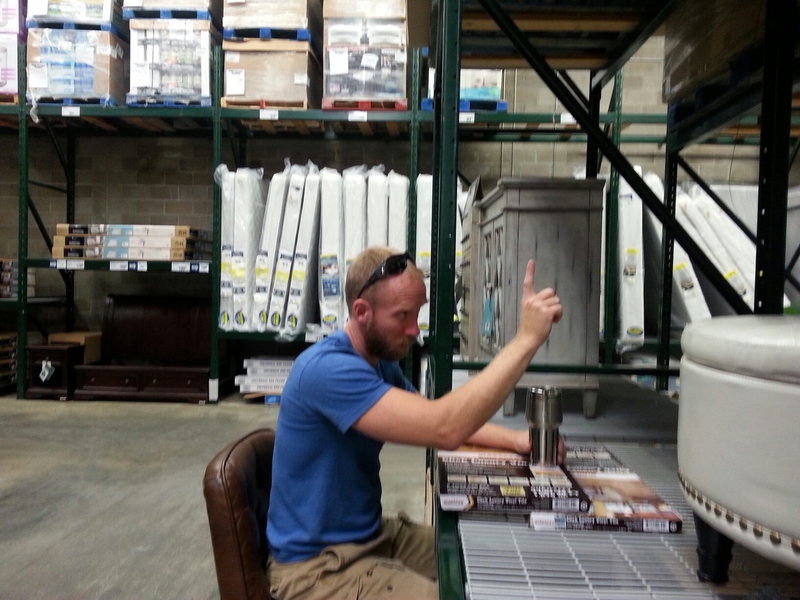 Knowing our ideal bar dimensions, we recreated a bar at Sam’s to try their seats. One was a nicely cushioned pneumatic shock seat. The other was more of a conventional wood. She also has several more on order to sample. The bar at Sam’s club. Now that we have a good pulled pork slider meal, my wife started working on chili and chili-dogs. She bought several styles of dogs and buns. We soaked them in beer, cooked them and ate them all week. We ended up going with a yummy, easy recipe. The chili is from scratch. 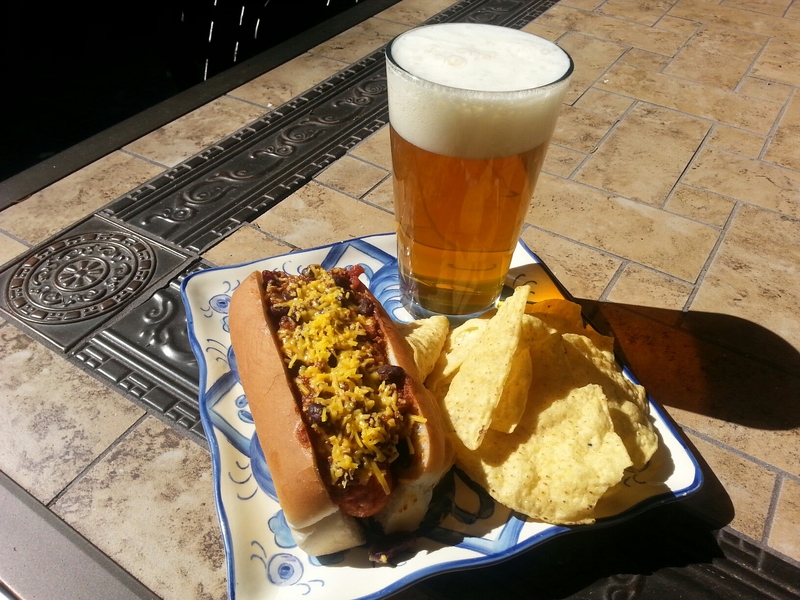 Beer slow-cooked chilli dogs! Our newest menu item. I also, quite accidentally, figured out how to get a perfect pour every time even if I haven’t poured a beer since the prior day. I have been using pressure fermentors since the beginning of the year to carbonate the beer as it ferments. Besides allowing it to ferment warmer and quicker, it carbonates it too. 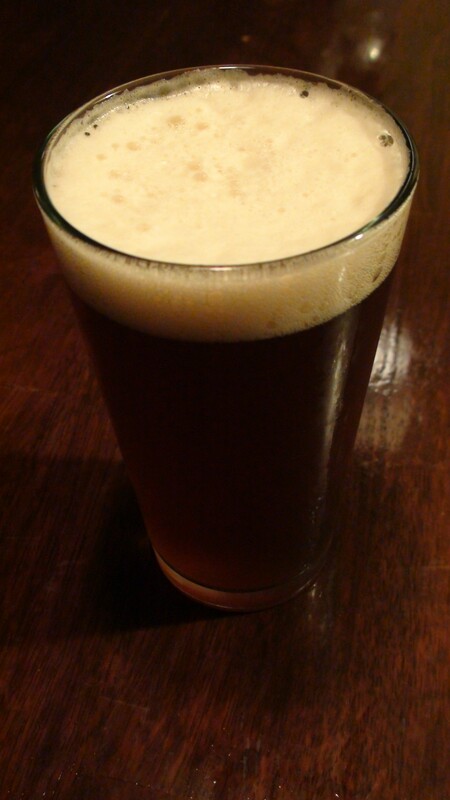 I have always had too much foam when I pour a beer, especially the first one even though the carbonation seemed fine. By accident, the recent Amarillo IPA fermented without a good seal on the fermentor. So it wasn’t at the pressure I thought it should be at…it was about 3-5 psi lower by the time it was done. I ended up filtering it and putting it on tap. It now pours perfect everytime with a 1/2-3/4″ head of foam and still perfectly carbonated. What it was is that my fermenting pressure was a little-bit higher than my dispensing pressure causing the CO2 to come out of solution in the taps which made too much foam. I am applying this to the two newest beers made last, the Oktoberfest and Pumpkin. We’ll see how they do soon. I would like to have the Federal application submitted by the weeks-end. The tile needs to be completely up. 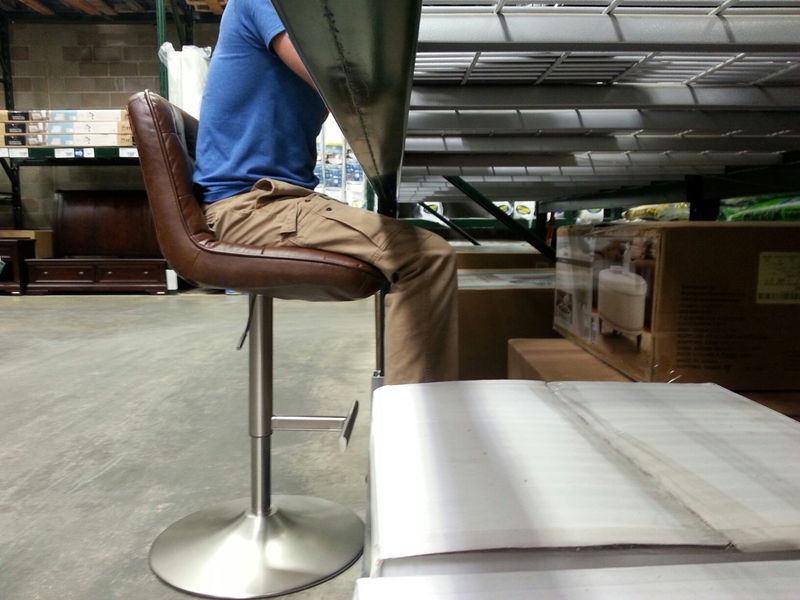 I will be building a mock-up bar that we can easily ‘adjust’ things like bar depth, foot rest height and depth. Once we get some more seats in, I will be contacting a few of you to come down and take part in bar and bar stool research. Next week I also need to find a forklift rental place to prep for the arrival of the fermentors.